Hope you had a great weekend. 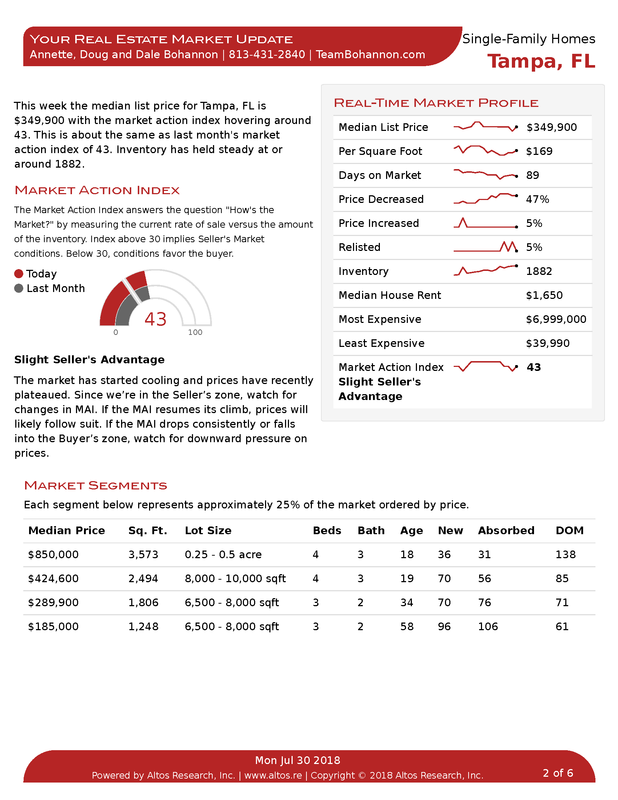 Today, our update covers single-family homes in Tampa for the week of 7-27-2018. 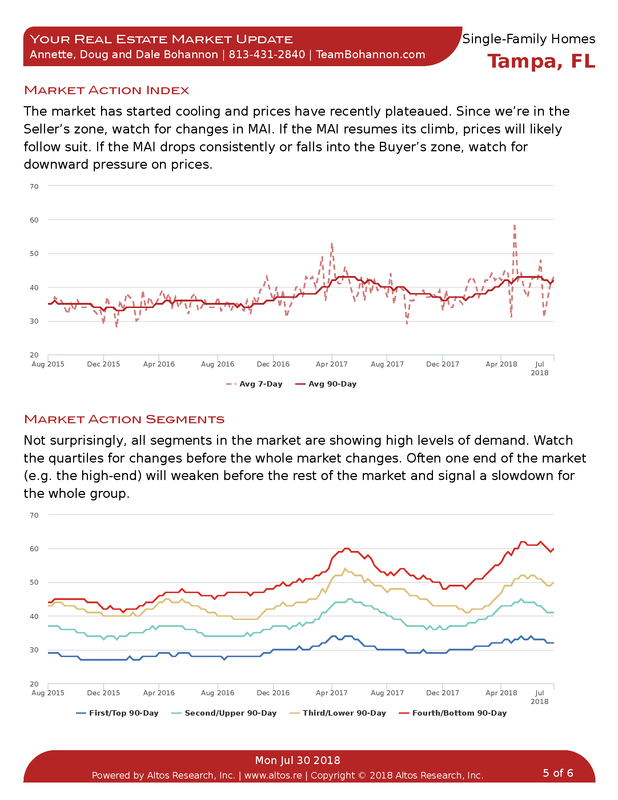 We review current real estate market conditions, trends in pricing, and the current levels of supply and demand. Tampa Bay Comic Con: Nerds take over the Tampa Convention Center Friday-Sunday, which will be filled with booths full of comics and collectibles, along with discussion panels, a film festival, comedy shows and numerous comic book artists and writers on hand. Celebrity appearances include Val Kilmer (Batman), Carmen Bicondova (Gotham), Brent Spiner (Star Trek, Next Generation), David Harbour and Noah Schnapp (Stranger Things). $30-$40; $60 three days, 12 and younger free. tampabaycomiccon.com. WWE Smackdown Live: See all your favorite wrestling stars in action, including AJ Styles, The Miz, Samoa Joe and Carmella. Tuesday at Tampa’a Amalie Arena. $25-$115. amaliearena.com. Fans can meet WWE Stars Jimmy and Jey Uso that morning at Cricket Wireless (15231 N Dale Mabry, Tampa.) Free. (813) 205-7742. Vans Warped Tour: The final run of the largest traveling music festival makes a stop at Tampa’s MidFlorida Credit Union Amphitheatre on Saturday, with a lineup including Reel Big Fish, Simple Plan and Less than Jake. $61 and up. 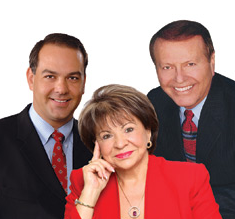 amphitheatretampa.com. Music: Another jam-packed week of music awaits. Tuesday, get your ‘90s fix when Counting Crows plays with opener Live at Al Lang Stadium in St. Petersburg ($29.50-$125). Thursday, popular roots-reggae band jam at Ruth Eckerd Hall in Clearwater ($33.50-$83.50). Friday, country superstar Miranda Lambert performs with Little Big Town at the MidFlorida Credit Union Amphitheatre ($25-$84.75). Also Friday, R&B sensation Jeremih takes the Ritz Ybor ($32.50-$40). Sunday, powerhouses Kesha and Macklemore team up to co-headline at the MidFlorida Credit Union Amphitheatre ($29.50-$125). Kevin Hart: The prolific comedian and star of the films Ride Along and Jumanji brings the funny to Tampa’s Amalie Arena on Saturday ($35-$125). amaliearena.com. Back to School Dizzy Kickball Classic: Teams of children, firefighters, police officers, professional athletes and local celebrities battle it out in a six inning kickball game at the Thomas ‘Jet’ Jackson Park and Recreation Center (1000 28th St. S, St. Petersburg) on Sunday, with Mayor Rick Kriseman rolling out the first ball. An “anti-back to school” kids carnival that’s open to the public follows and includes bounce houses, DJ dancing, free haircuts and styling, and more than 100 free backpacks full of school supplies. Find more back to school events at tampabay.com/thingstodo. The house in Gulfport was just 1,100 square feet and needed major updating. The house in St. Petersburg had been remodeled and was near a waterfront park. The house in Seminole had a pool and a fireplace. Although dissimilar in many ways, each house sold for $253,000 in May. That was exactly the median price of all 1,279 single-family homes sold in Pinellas County that month and is a good gauge of what buyers are willing — and able — to pay in a robust real estate market. Hillsborough, Pasco and Hernando counties had different median prices in May. 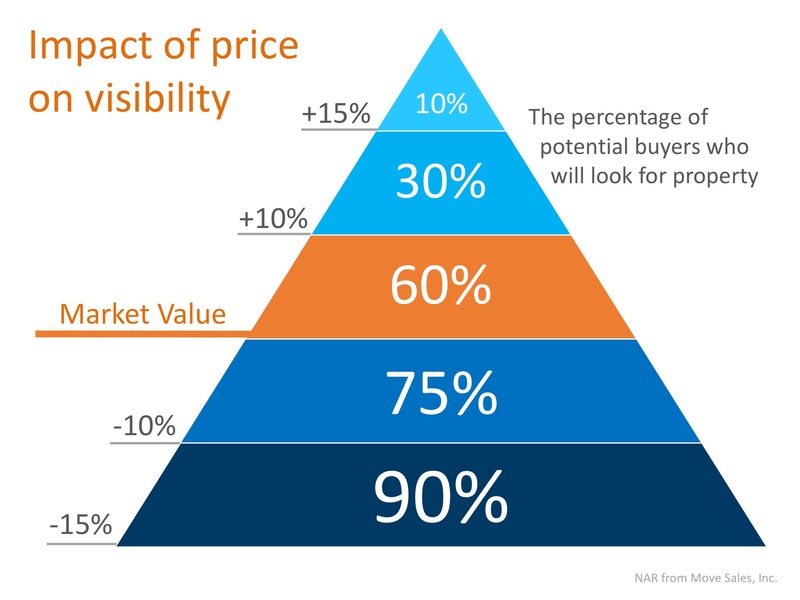 But those, too, reflected price points attractive to buyers there, especially first-time buyers. “Median price” means that exactly half the homes in a county sell for more than that price and exactly half sell for less. 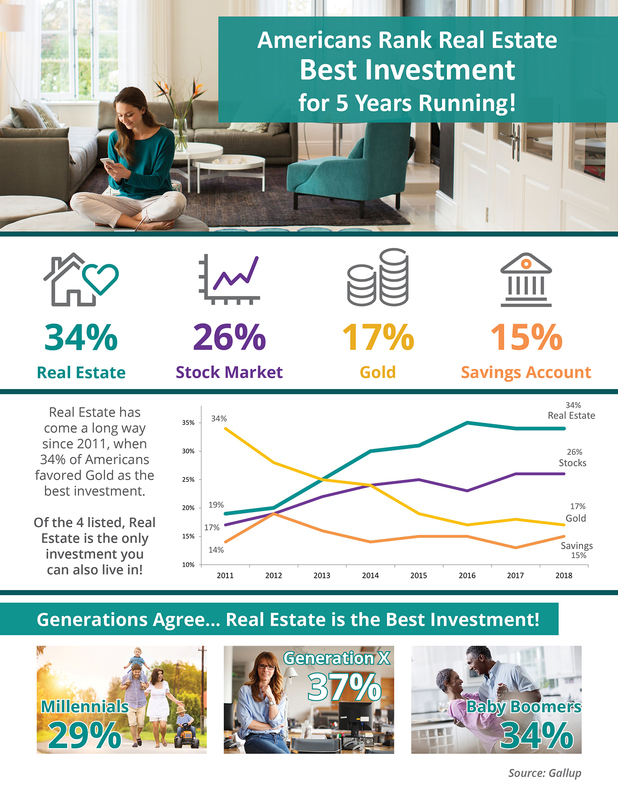 Real estate experts say the median price is generally a better measure of the market than the average price, which can be skewed by a few very high or very low sales. Since the Tampa Bay area began to recover from the housing crash, median prices have steadily risen. In May, the latest month for which figures are available, the median price for the four-county area as a whole reached $235,000. Hernando had the lowest median ($188,585) and Hillsborough the second highest ($251,245). • Median-price houses in Pasco and Hernando generally are bigger and newer than those in Pinellas and Hillsborough. Waterfront home premiums aren’t what they used to be. Blame catastrophic hurricanes, climate change, people’s changing tastes – or the tremendous bounceback in non-waterfront homes since the housing bust. While waterfront homes nationally are worth a total $134 billion, the price premium for single-family homes on the water has fallen to 36 percent in April 2018, down from 54 percent in 2012 and an average of 41 percent over the past 22 years. During the housing boom, prices for waterfront homes grew faster than those of non-waterfront homes, and the hit they took during the bust was not as dramatic. 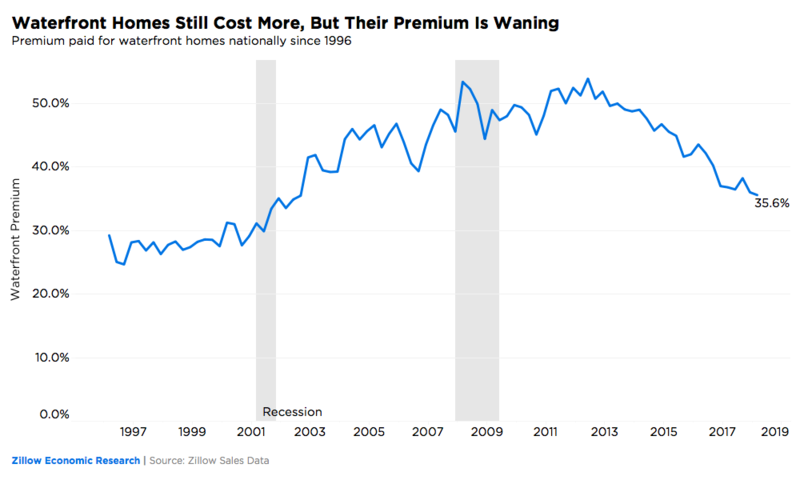 As a result, the 53 percent premium they held in 2008 stayed roughly the same through the early years of the housing bust as non-waterfront homes took a tremendous hit while waterfront home prices declined only slightly. However, as the housing market has bounced back, the prices for non-waterfront homes have returned to their pre-recession peaks, while waterfront homes have not. The trend is similar to home values in vacation home markets, which have yet to rebound from the housing bust. In the decade since 2006, waterfront homes in the popular beach metro of Miami have almost recovered their average pre-recession premium of 40 percent. However, the premium during that decade has averaged 21 percent in Portland, Ore., well below its 32 percent premium prior to 2006. The characteristics of single-family homes on the water have changed little since 1996. The median-priced waterfront home sold in 1996 had two bathrooms, three bedrooms, was 40 years old and measured about 1,700 square feet. While getting slightly bigger, until 2018, the other characteristics for this median home did not change. 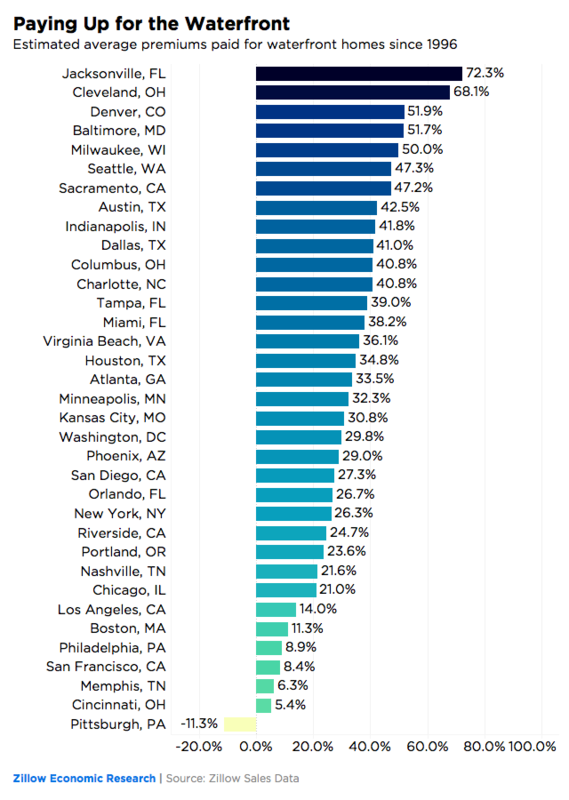 The same is true for the median-priced non-waterfront home. However, while the median home on the water appreciated during those two decades by 160 percent on average, the landlocked home appreciated by an average of 100 percent. In eight of the 10 large markets with the highest average sales premiums since 1996, home prices have been either low in general, lending a particularly large boost to homes on the waterfront and the areas where they’re located, or houses on the water have been particularly scarce because they’re located on smaller bodies of water such as lakes or rivers rather than on long stretches of beach. 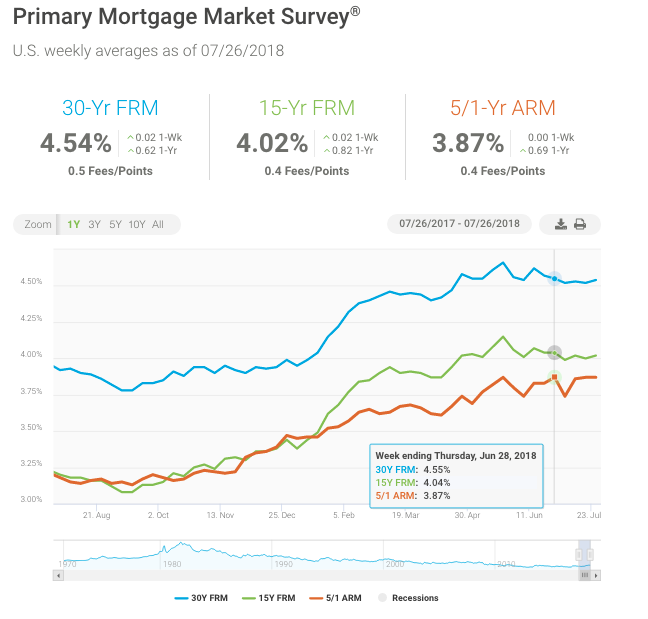 Mortgage rates moved up slightly over the past week to their highest level since late June. 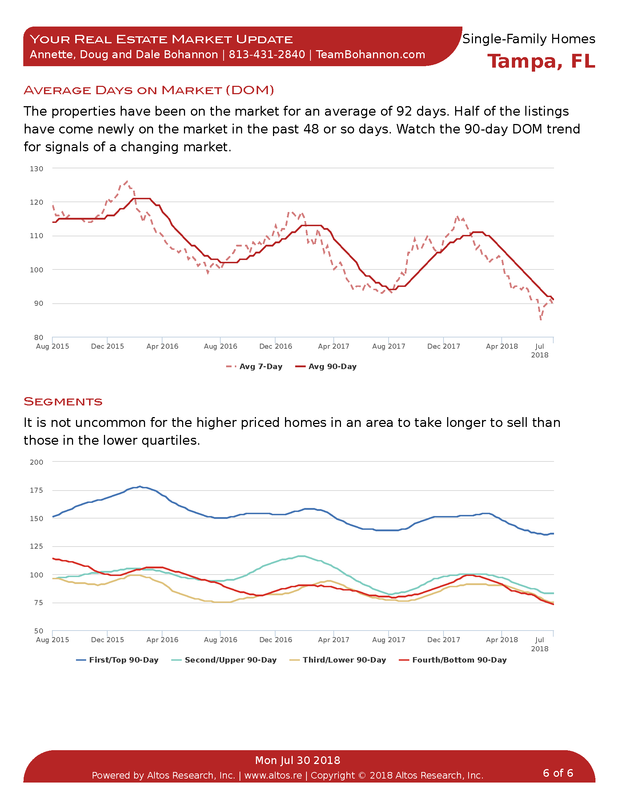 The next few months will be key for gauging the health of the housing market. Existing sales appear to have peaked, sales of newly built homes are slowing and unsold inventory is rising for the first time in three years. 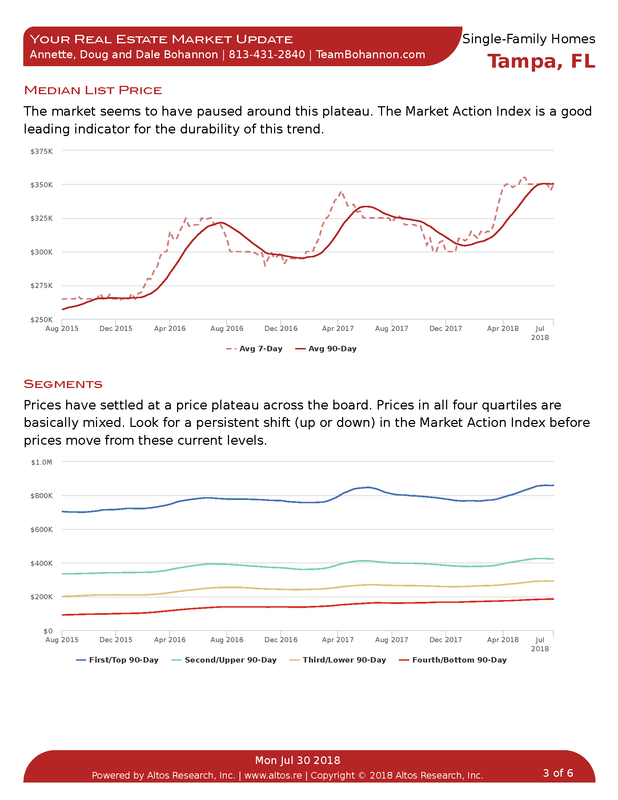 Meanwhile, affordability pressures are increasingly a concern in many markets, as the combination of continuous price gains and higher mortgage rates appear to be giving more prospective buyers a pause. 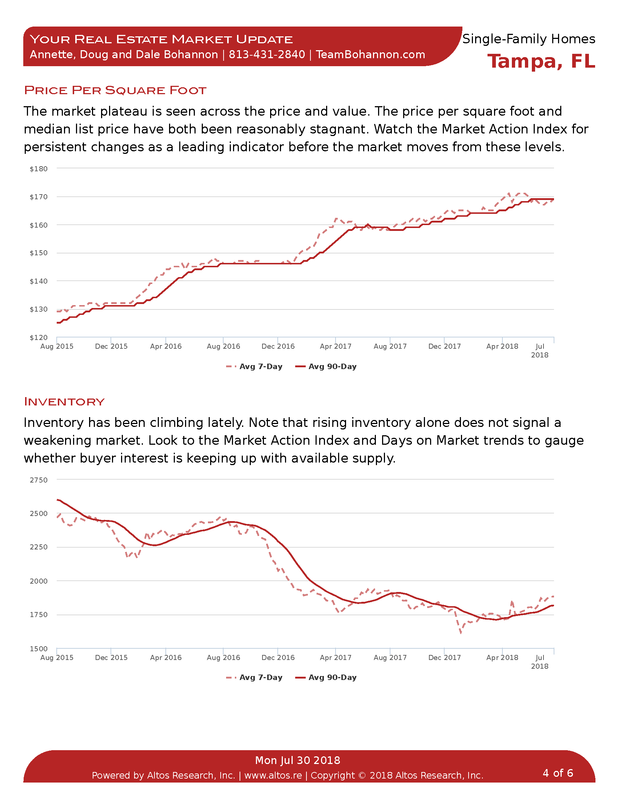 This is why new and existing-home sales are not breaking out this summer despite the healthy economy and labor market.